I must admit my own inner conflict with Disney lately. It seems Disney has been on a campaign to produce “live-action” remakes of all their older classic films. I can’t decide whether I am happy with this plan or not. However, let’s cut straight to the chase here, the greatest issue I found with this movie is that I’ve already seen it. So, the question isn’t whether the movie is good or not, I mean really people, these films are called ‘Classics’ for a reason. Naturally, we join Belle in France in a quaint little town singing her way through introductions apropos to the Disney formula. There may have been someone close to my area humming along with the familiar songs, not me of course. Belle finds herself the odd girl of the village, and consequently not interested in the Town-Hero and all-around dashing Gaston. However, as familiar as all this sounds, the new Beauty and the Beast did offer many minor, yet significant, changes to the old romance story. For example, while Maurice, Belle’s father, is portrayed as a craftsman, it’s really Belle who is shown as the ‘inventor’ of the family. I won’t go too deep into the larger plot changes, no spoilers people, but I will say that you won’t see the exact same movie as the old animations. These plot changes allow the story to highlight a few different things that add a little something extra for the older members of the audience. I noticed attempts to build more substance to the relationship between Belle and the Beast. A little depth? Or as Ms. Potts would sing, “I think there’s something there that wasn’t there before…” Not that I would know any of these songs by heart. Away from those animations, though, you get to see some acting talent from Emma Watson as Belle and Luke Evans as Gaston. While Emma Watson did succeed in adding more flavor to Belle’s character as well as a sense of vulnerability in certain scenes, I found myself more-so enjoying the Gaston character, albeit extremely shallow. Luke Evans does well to bring out more of the insanity of Gaston. We’re not talking mental health exactly, but Luke Evans was almost able to animate a live action film through his use of expressions and gestures. I’ve always found talent in the way people can facially express concepts without words, and through Gaston’s obsession with Belle, obtaining her, and being the “Man’s Man” stereotype Evans plays well to the character. However, I can’t give Evans all the credit as he often has LeFou (Josh Gad) to play off of. This character was far more prominent in this film than the older animation. As such, far more comedy balanced the more serious, and noticeably darker, romance side. Gad achieves this somewhat slapstick style comedy well in his role and while he didn’t really steal the show for me, he did stir thoughts that Beauty and the Beast really had no small parts. While some of these changes may have people shy away saying, “You changed too much, it’s not the same movie!” I have to ask if you really want to watch the same exact thing. Studios take a risk remaking a classic like this. However, I can’t help but enjoy some of the freshness added to the movie through its new parts. I can understand hesitation for Beauty and the Beast. It is the same movie you watched on VHS years ago and again released on DVD. But I feel just enough changed to say sure. 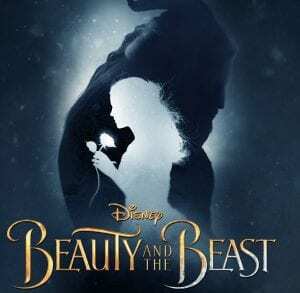 Go watch Beauty and the Beast as kids who haven’t seen it get that first watch of a classic story and you enjoy a nice dosage of nostalgia while maybe noticing some new polish on that old memory.